As we become more active and spend more time outdoors, illuminating the areas for safety and security are becoming one of the priorities of Parks and Recreation Departments around the country. Here are some great ways solar lighting can be the go-to solution for their lighting and power needs. Dog parks are popping up in every town. These parks provide a way to socialize your best friend while getting much needed exercise, especially in cities and more urban areas. Since most people take their dogs to the park either before or after work, it can become dark quickly, especially in the winter months. 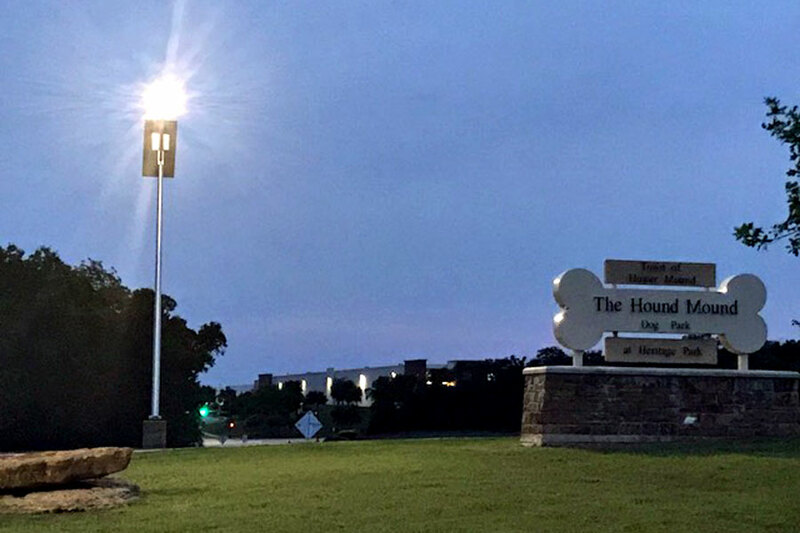 Providing lighting at the dog park for parking lot areas and the entrance / exits of the park provides safety and security to people who are out in the early evening. Most nature parks like to feature the surrounding area without disturbing wildlife and natural growth. Trenching to bring in traditional powered lights would disturb the area greatly, if the power was even available as most of these areas are in very remote areas. Instead, installing solar powered lighting systems is a great option to not disturb the natural environment. The only thing that needs to be taken into consideration in these areas is the tree canopy – solar does not work when shaded. The solar systems must be installed in areas that have no shading concerns. 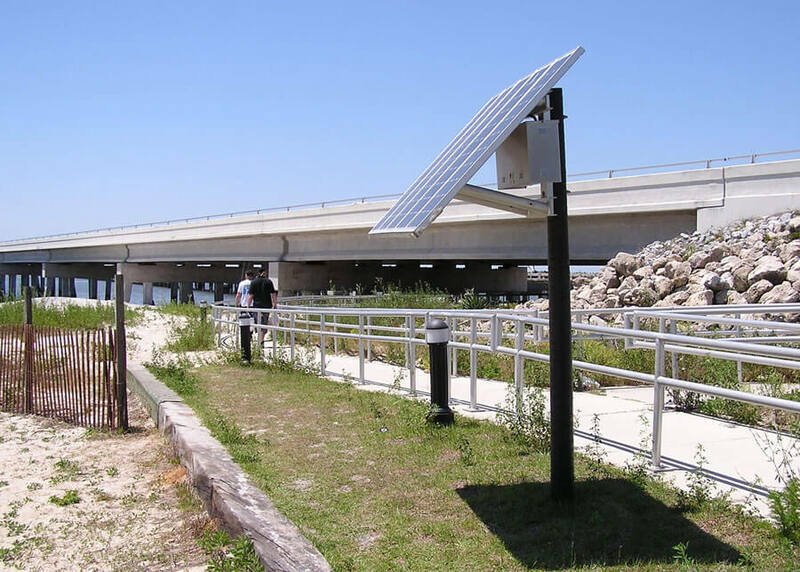 With the ongoing Rails to Trails and East Coast Greenway projects moving along across the US, solar lighting is becoming more and more popular. These areas range from very remote to downtown areas and lighting along the trails in specific areas is increasing. 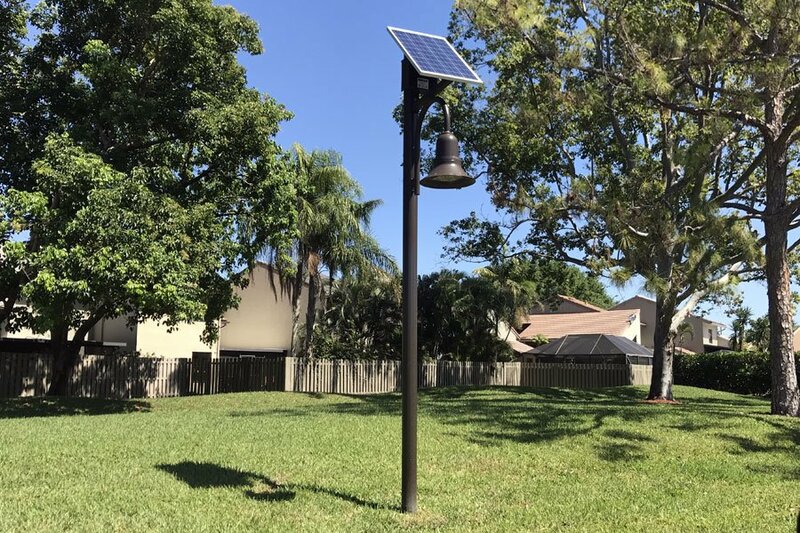 Off-grid solar lighting is a great choice for these projects since you can install these anywhere along these locations to provide additional safety and security to those traveling in the early mornings and late afternoons. 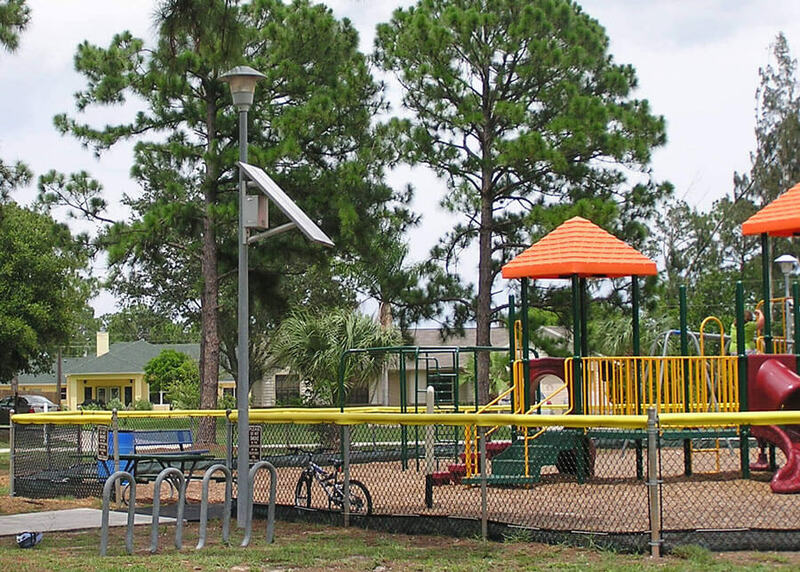 Solar lighting systems are a great way to illuminate playgrounds for people who are bringing their kids to play after work and to make sure these areas are safe after dark from loitering and vandalism. By illuminating the areas allows neighbors, passerby’s and law enforcement to visually inspect the area at night to ensure that no damage has been done. 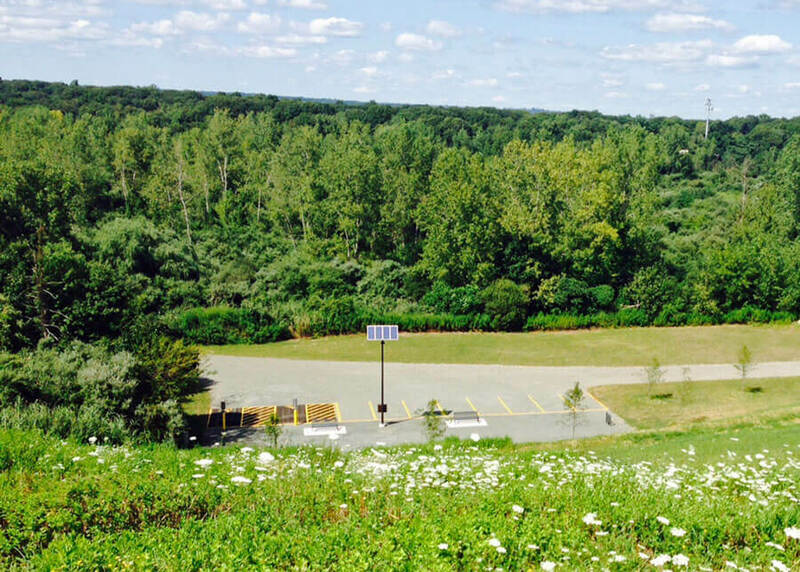 There are so many great ways for Parks and Recreation Departments to use solar lighting systems. 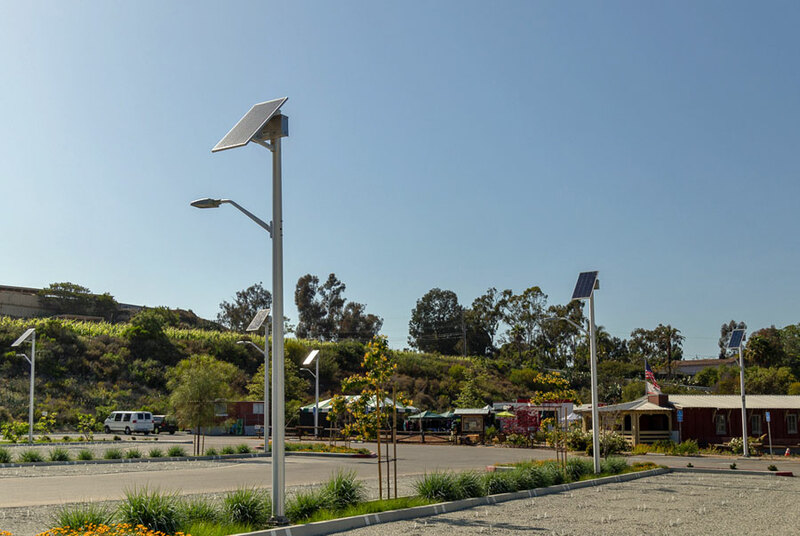 Some of the best solar lighting solutions for parks include parking lot lighting, pathway and walkway lighting, general area lighting, gate lighting and sign lighting. Since most of the night lighting isn’t required, these installations are perfect for motion lights or lights that use split time operation. This keeps the systems small and allows for the lights to meet the budget constraints of these departments more easily. Want to learn more? 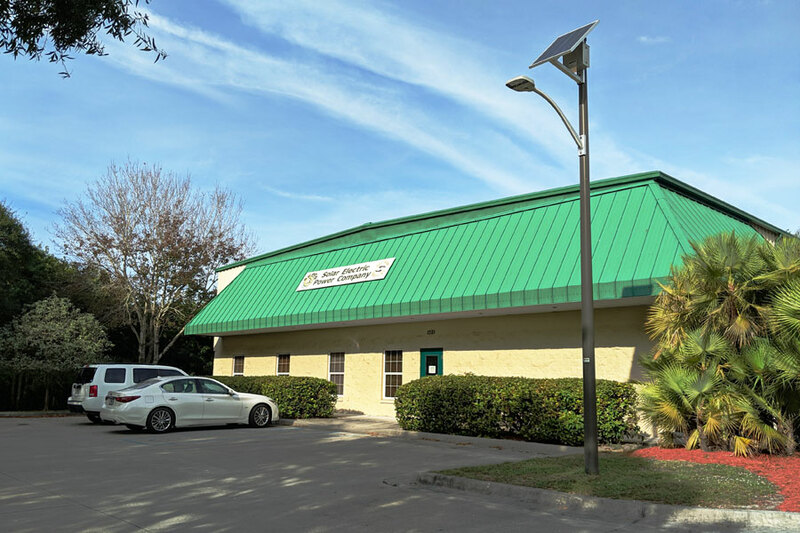 Contact your solar lighting specialist to see how they can help configure the perfect system for your next project.